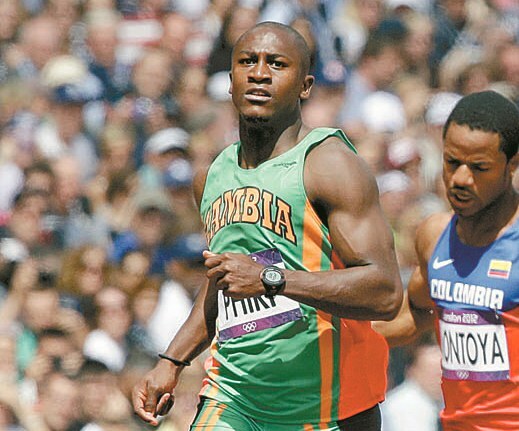 Gerald Phiri participated in the just ended London 2012 Olympic games and qualified for the Semi-Finals of the mens 100 metres by running 10.16 seconds in his round 1 heat and coming 3rd, in doing so running a season’s best, he then went on to the semi-finals and ran 10.11 another seasons best but came 5th, outside the qualifying spots for the final. KAPA187: How did you get started in athletics and what made you take it up seriously. GERALD PHIRI : My Physical Education teacher discovered me at sports day in 2002 when I was in grade 8. It was not until I won English School’s Championships in 2003 when I began to realize that I was kind of good at it. I have since won numerous titles in the UK and USA where I showed that I was one of the best up and coming talents in the sport and I decided to take it up seriously to see how far I can go. KAPA187: Who motivates you, both in life and in athletics? 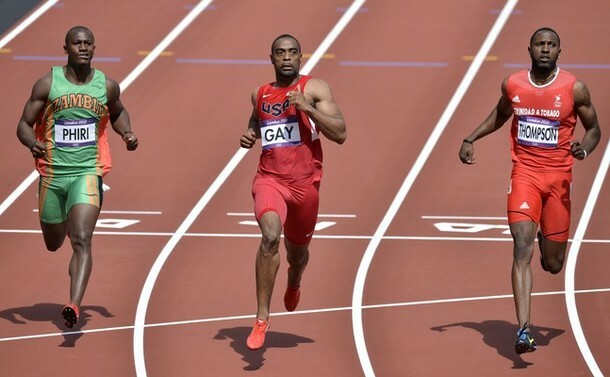 GERALD PHIRI : As far as athletics is concerned, I look up to Tyson Gay because of his hard work and determination to be the best. Yohan Blake and Usain Bolt are also great sources of motivation. They are amazing athletes and hopefully one day I’ll ascend to that level in the sport. In everyday life my family is a big motivation to me. They are always there to encourage and support me and I want them to be proud of me as a man both on and off the athletics track. KAPA187: How was your experience at the 2012 London Olympic games? GERALD PHIRI : Overall I was pleased with my first Olympic experience. It was exactly what I expected it to be as far as how well it was organized and I also had the opportunity to meet many great people and athletes from all over the world. My only disappointment was the cost of tickets for my family to get into the stadium to watch me run. KAPA187: How did you get yourself prepared for your event ,mentally and physically? 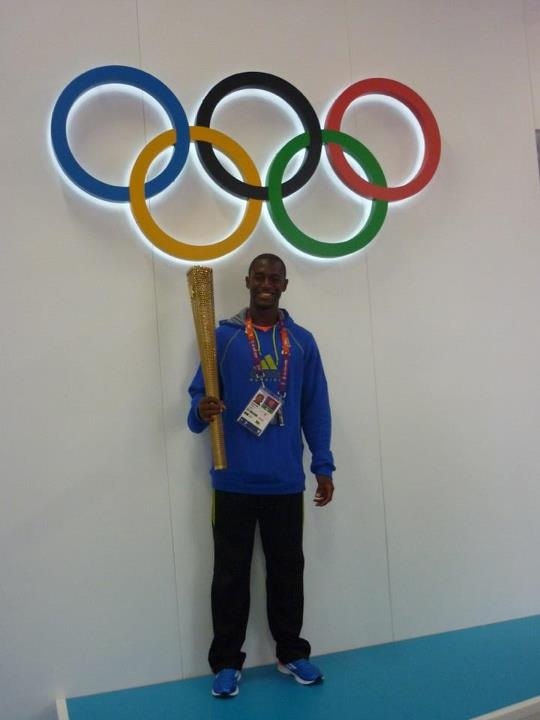 GERALD PHIRI : Physically the Olympics was just another competition on my calendar. I trained with my coach and training partners in Amsterdam while we got used to the weather and time difference in Europe. Mentally, my coach helped me relax and we focused more so on making sure my body was healthy. I knew if I was healthy I would go into the games with confidence. KAPA187: Reaching the semi-finals of the men’s 100m was a great achievement, how did it feel running against the likes of Usian Bolt. GERALD PHIRI : When I line up I don’t think about this person and that person. I focus on what my coach has taught me and give my best effort. It’s always great to race against the best though, that’s how you bring out the best in yourself. KAPA187: You placed 5th in that race with a good time of 10.11 seconds, which is .05 away from your personal best. Were you satisfied with your performance? GERALD PHIRI : I was very disappointed with my performance at the Games. My goal was to make it to the finals and unfortunately I failed. I made some small errors in my technique which hampered my performances but you live and learn and I’ll try my best to ensure I don’t make the same mistakes next time. When you have 80,000 people in the stadium it’s not easy to stay composed especially when you are carrying your whole country’s hopes on your back… it’s very hard. KAPA187: Were you satisfied with the support you got from Zambia? GERALD PHIRI : Well that depends on what kind of support we are talking about. As far as encouragement and kind words, I received a lot of Facebook messages and some emails from my fans in Zambia and it was very nice and motivating to see that people recognized my achievements. I want to personally say thank you to everyone who supported me throughout the games. Financially speaking I receive NO financial support from Zambia. 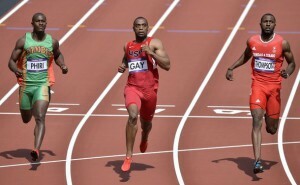 I am in the top 15 in the world and I’m Africa’s number #1 sprinter. It costs a lot of money to become the best in the world I have to pay my coach, medical expenses, travel expenses (I have to fly all over the world for competitions), food, rent and other bills such as electricity. When you are a full time athlete it is very difficult to afford all the expenses because it’s your only job and source of income and I wish I had support to help me pay for some of my expenses. People don’t understand the financial burden that comes with being a full-time athlete. Usain Bolt for example has a net worth of $20.6million so obviously he is able to afford all the expenses needed to stay on top of the world rankings. Bigger countries have a lot of money invested in sports and it’s no surprise that they are doing so well.. If I was to run for Great Britain (where I grew up) at the next Olympics, I would be making 4-5times as much money as I make right now. If Zambia is serious about winning medals they need to invest in sports, you don’t wake up one day and think you’ll go out there and win a gold medal. 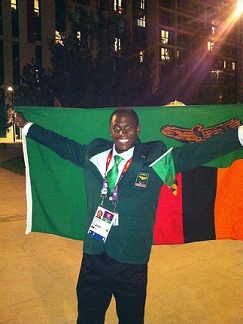 KAPA187: This year Zambia had a small team going into the Olympics, what do you think needs to be done in order to have a larger representation in 2016. GERALD PHIRI: There’s a need to invest a lot of money in sports. At the grass roots level there’s a need to develop a solid program that will help identify the best local talent from a young age. 2016 is only 4years away and there’s also a need to find athletes in the 18years and older category who will be able to represent Zambia well in Rio. It’s also very important that these athletes are supported financially so they can develop to a standard where they will be able to do more than just show up at the Olympics. Making the Olympics is not difficult we want our representatives to be a force to be reckoned with. Athletes need to be supported and developed starting today. You don’t wake up one day in 2016 and just expect spontaneous results from athletes. Let’s support and develop athletes starting today… it takes many years of training and development in order to be a great athlete. On top of that Coaches are a big component of success, we need to develop our coaches who will be guiding the athletes through the next Olympics. Personally I believe we need to hire people from other countries that are doing well such as Kenya, USA, etc. and have them help us build solid infrastructure then train Zambians to take over and sustain this new system. There’s a reason why these countries are consistently successful at the international level, why are we not using their expertise to build solid foundation in Zambia? KAPA187: While at the Olympics did you get an opportunity to watch any other sport apart from athletics? GERALD PHIRI: Unfortunately I was only able to watch other sports on TV. Maybe next time. KAPA187: Are you taking part in any athletic competitions in the near future? 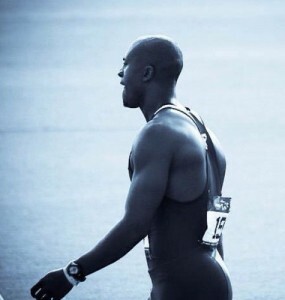 GERALD PHIRI: I just finished my 2012 season. I will not have any more competitions until April or May 2013. KAPA187: What words of encouragement do you have for young up and coming athletes in Zambia? GERALD PHIRI: I’d just encourage them to hold on to their dreams and don’t let anyone tell them that they can’t achieve their goals. What God has for you is for you, no man can take it away! Work hard, and stay focused! KAPA187: What other hobbies do you have, and is there anything your fans will be surprised to know about you? GERALD PHIRI: In my spare time I like to spend time with my friends and family, I watch TV or listen to music… Once in a while I’ll play around on a piano. I also play with my dog and video games. A. I want to be a successful restaurant owner and chef when my athletics career is over. B. I have lived in 4 different countries (Zambia, South Africa, UK and USA). C. I can compete for Great Britain and USA if I opt to do so. D. I want to visit Egypt one day. I want to see the pyramids with my own eyes. There’s a lot of history there. E. I briefly played semi-professional football when I lived in the UK. GERALD PHIRI: Zambia has the potential to be a force in the world of sports but a serious initiative in needed to develop coaches and athletes. We need to make sports a part of the culture. How did he end up representing Zambia without going through the Zambian authorities? Otherwise a good and encouraging performance, we need to invest more in sport in general. hey there and thank you on your information ? I’ve definitely picked up something new from right here. I did on the other hand experience several technical issues the usage of this web site, since I skilled to reload the website lots of occasions prior to I may get it to load properly. I have been brooding about in case your web hosting is OK? Not that I’m complaining, however slow loading cases instances will often impact your placement in google and can injury your high-quality score if ads and marketing with Adwords. Anyway I’m adding this RSS to my email and can glance out for a lot more of your respective interesting content. Make sure you update this once more very soon..